Some travelers are not content with the traditional traveling experience. Mainly, what they desire is a gut-level connection with culture, history, and local communities. 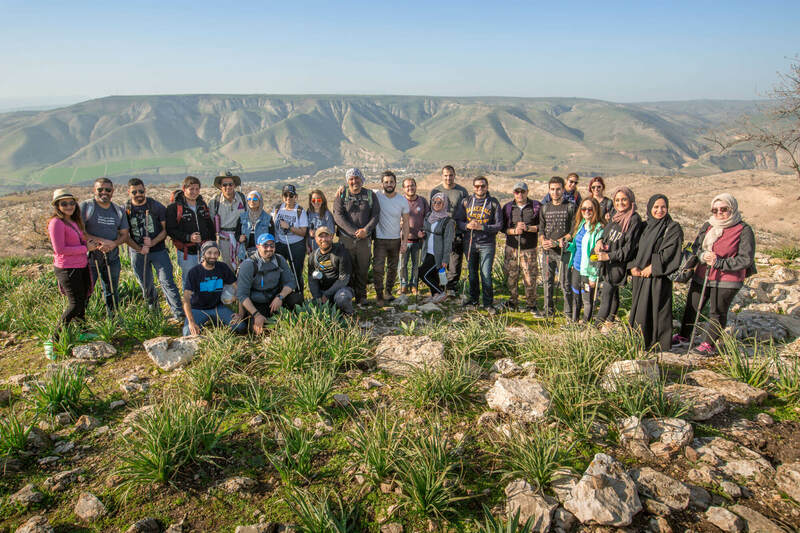 In a country that has seen a huge boom in mass tourism over the past few decades, there is now an emergence of a new tourism movement in Jordan to provide memorable and unique travel experiences, not conventional trips to the usual attractions. Rola Fayyad’s story is one such embarking: to solve a prevailing issue, using the smartest technologies and the sharpest minds in the country. Stuck in a corner, Rola knew she had to act quickly, otherwise the idea will die in its initial stages. “We saw an opportunity in Qatar’s Challenge 22,” Rola says. “They were recruiting start-ups for the World Cup. Tourism was included. This was it for us”. 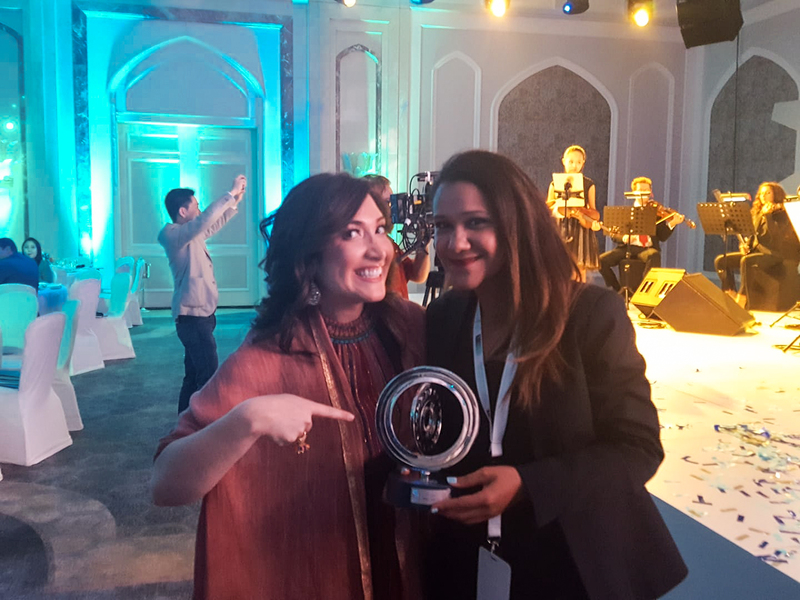 20 November 2017 - Rola Fayyad takes a photo with Randi Zuckerburg, former Director of Market Development and spokesperson for Facebook, after winning at Qatar's Challenge 22. Friendture’s relationship with the travel sector is relatively new and curious. Targeting visitors and event creators alike, the application had to be friendly to the widest social segment possible and had to prove itself worthy of the consideration of the travel sector in Jordan. Such consideration, however, was not forthcoming. While building Friendture, Rola faced immense difficulties in finding resources. “Developers are expensive and can sometimes be uncooperative,” Rola says, “But my employees have a passion for technology. It took me two years to find them, and although some of them are currently interning with us because they’re still students at university, I will offer them full-time jobs the second they graduate”. As one of the pioneers of Jordan’s Girls in Tech’s movement, Rola was awarded the “Women in Non-Traditional Sectors” grant by the USAID Jordan Local Enterprise Support Project (LENS), in line with its vision to support women working in sectors commonly dominated by men such as technology, engineering, the building trades and the services sector, particularly tourism and transport which few Jordanian women opted to thrive in. “With the grant, we were able to hire employees, and give them a stable working environment”. Since receiving the grant, Rola has hired five full-time employees to help her with app development, design and marketing. “My relationship with USAID LENS was also a reason behind many of the connections I’ve made at Challenge 22 in Qatar. Everyone was intrigued to know why I received support from USAID LENS, and these small talks led to great connections” said Rola. 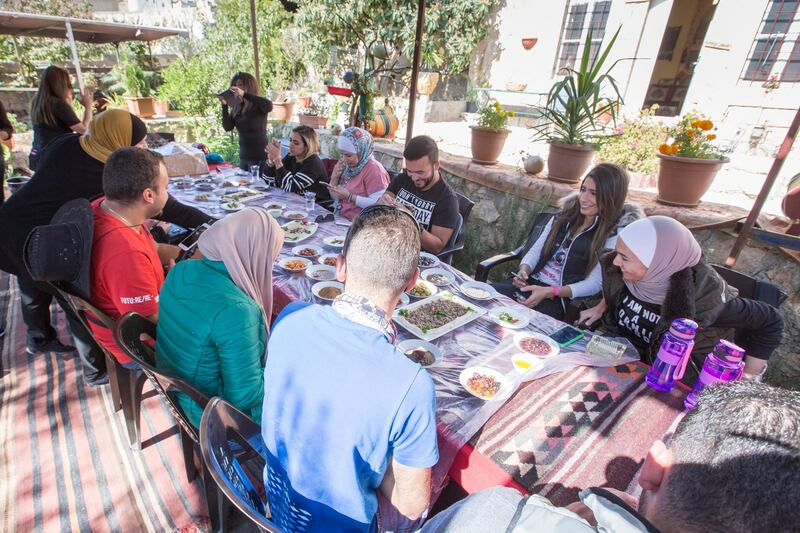 As part of a future Corporate Social Responsibility program which Rola is working on, Friendture’s team started managing trips to sites that enjoy less tourist attention than Petra and Wadi Rum, such as Ajloun and Um Qais. “Female-led initiatives took the spotlight, as well as home-based businesses, local hiking guides, and many other people involved”. Rola’s vision for Friendture is ambitious and locally-oriented. She wants to focus more on local experiences that benefit local communities. “It’s all about creating sustainable tourism, and giving home-based businesses the tools to become technologically independent by handling their own bookings and activities”. “At the moment, we have 40 to 60 daily clicks. And a minimum of 300 per week in the MENA region alone,” Rola says. “What I want to do with Friendture is provide access to experiences, not events”. “An experience,” she explains, “is anything that leaves you with a memorable feeling, no matter what it is. A walk in downtown, or eating Mansaf. That’s an experience, not an event”. “It will take time, but it needs to begin with small steps,” she concludes.